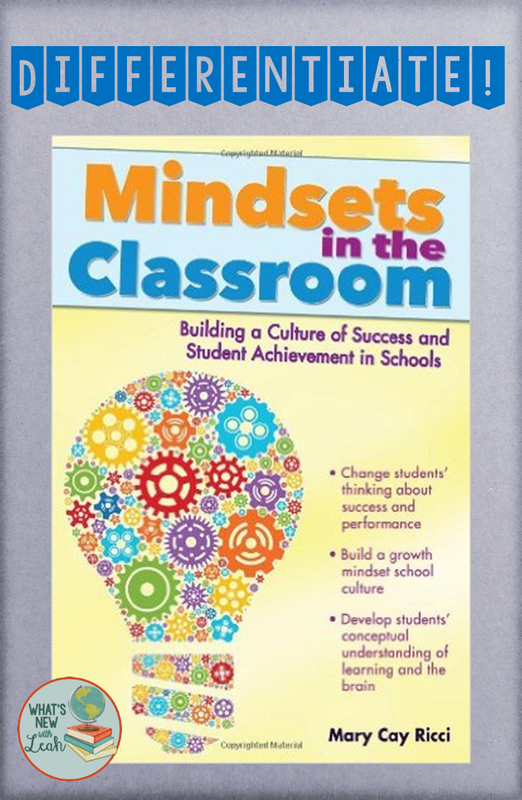 Reading Mindsets in the Classroom: Building a Culture of Success and Student Achievement in Schools, by Mary Cay Ricci, has got my head spinning. I'm reeling trying to think of ways that I can implement some of the great ideas in my own classroom. I hope my pondering benefits you--later in the post, I have a free formative assessment printable and a differentiated planning map. I'm afraid that many of my students suffer under the cloud of deficit thinking. Deficit thinking involves educators making assumptions about them based on their race, low income status, or English language acquisition. I hope I don't do that. The trouble with deficit thinking is that students begin the internalize and reflect those attitudes. This leads to underachievement and failure. So mindset is incredibly important to student success. My friend Brigid at Math Giraffe discusses chapter 1, which is all about fixed and growth mindsets, HERE. A fascinating take-away is the plasticity of IQ. Chapter 2, discussed by my friend Ellie at Middle School Math Moments, suggests ways to build a growth mindset at your school. Read about it HERE. Chapter 3 is all about differentiation. Ricci argues that a growth mindset cannot be achieved without differentiation. And that makes sense. If you do not meet students where they are in order to guide them higher, they will not grow. It's the proverbial, "You have to learn to crawl before you learn to walk." Of course, you must pre-assess in order to truly differentiate, but Ricci recommends previewing the material first. She recommends spending 5 minutes or less going over the material in order to activate the students' background knowledge. Show a short film clip, read a brief article, ask a few questions, work a few problems on the board, etc. This may be all some students need to learn (or recall) the skill or content. She warns against assigning an arbitrary number for mastery (85%, say) because that is meaningless. Instead, perhaps make a chart, color-coding each question that represents a specific skill or difficulty level. If questions 1, 9, and 10 deal with factoring, for example, make their columns all blue on the chart. If questions 4 and 6 are higher-level application questions, color them green. You will then be able to group the students according to what they need to work on. That leads us to the next step. This is when you will use the data from the pre-assessment to group students with similar needs for your unit or topic together. Each group will work on what they need to work on. Some will need quite a bit of remediation. Others will already basically know the material, while others will fall somewhere in the middle. This process will require curriculum compacting--that is, eliminating previously learned content for the students who already know it.This will allow them to dig deeper or move on. Ricci advises "adding a thin layer of enrichment" for students who appear ready to move on just to be certain. That is, ask them to analyze or apply a concept to be sure they truly understand it. She also recommends anchor activities (though not busy work--enrichment) for early finishers so that you are free to work with other groups. I have some ideas for implementing stations as anchors in the secondary classroom HERE. Check for understanding often. This can be in the form of oral or written questioning, exit tickets, observation, 3-2-1 (3 things I've learned, 2 things I have questions about, and 1 thing I want to learn more about). 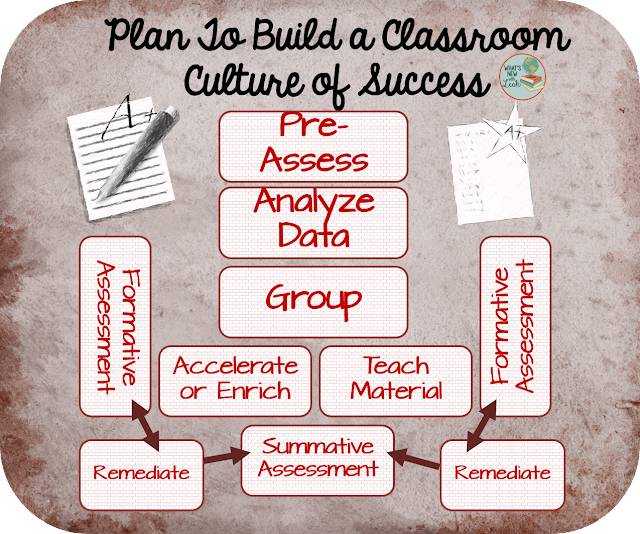 Grades for formative assessment should only be for completion. Grading formative assessment for accuracy turns it into summative assessment and negates the point. Correct it. Hand it back. Go over it. Download one of my free formative assessment exit tickets HERE. In a truly differentiated classroom, each group will not have the same assessment because each group will be learning differently. 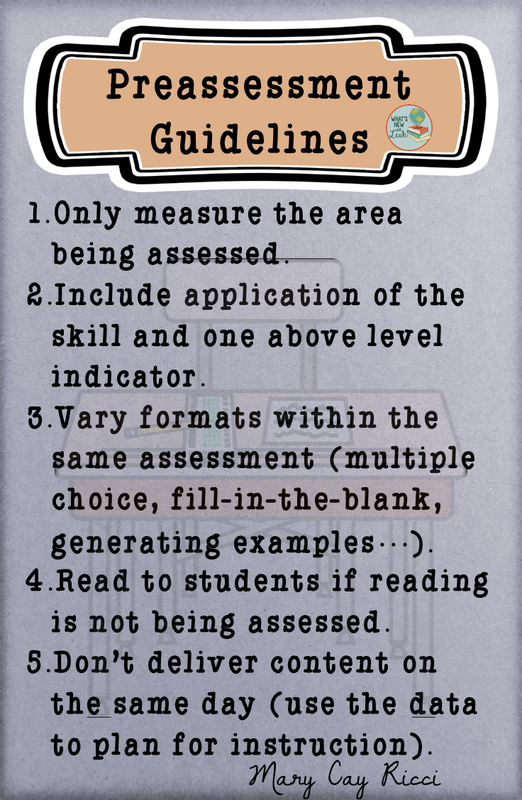 The assessment should match the learning that has taken place and challenge students appropriately. 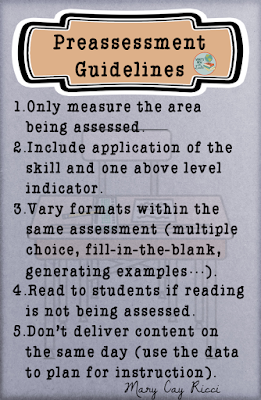 Summative assessment need not be a test. It can be a project or a product--just be sure to offer choices on these because you want to be sure to assess the content or skills they are learning and not something else (for example, you don't want to assess their art abilities when you are trying to assess their knowledge of WWII). I am really learning a lot from this book. 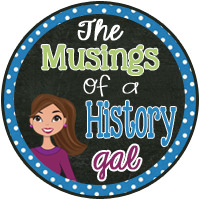 Hop on over to my friend Andrea's site, Musings of a History Gal to check out the next chapter--coming next Monday! What do you think about the book? How do you try to build a mindset of success and achievement in your classroom? Let me know in the comments!